It’s impractical to have tall structures without lifts, so when you’re designing one, like a skyscraper, you need to consider where the lifts will go and how to design them, so that they fit with the overall plan of your building. But incredibly tall buildings aren’t the only ones that require lifts. You’ll know if your building need lifts, and how many, by considering the design of the building itself, the number of floors and the height of each floor. 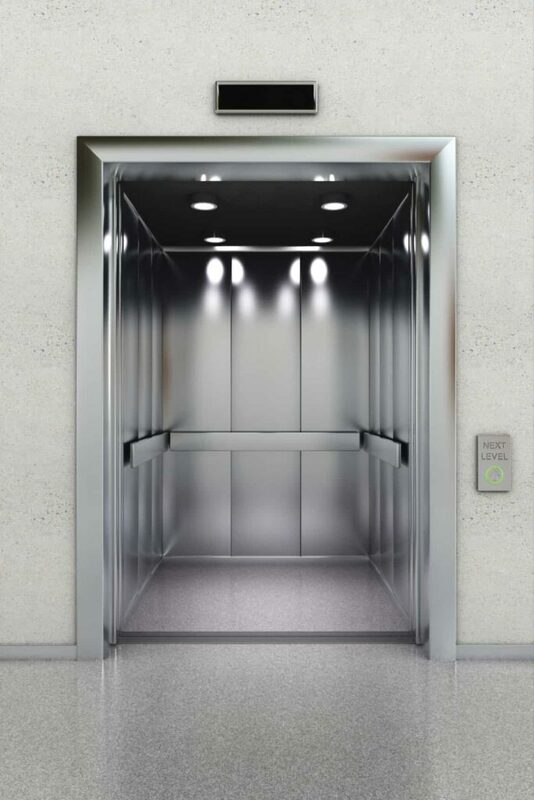 Although there are several types of lifts for different purposes, we’ll focus more on passenger lifts, which are the backbone of commercial and residential buildings. There are a lot of things to consider when designing lifts, including the special operating modes of each one – they can vary from place to place, since some can depend on the needs of the building, while others are characteristic of all lifts. This mode is one of those specific to a certain type of building – in this case, hospitals. This service means that a lift can be summoned to any floor for use in emergencies; so, when activated, this mode selects the lift that can respond the fastest, independently of how many people are inside or where the lift is going. Once it reaches the floor where the emergency is taking place, it will open its doors and not move again unless medical personnel choose to move it. The lift will then travel to the desired destination without making any stops until the mode is switched off. Up peak mode can be found in lifts that have a moderate amount of traffic, especially in business areas when people are arriving into work. This service works by dispatching lifts one by one when they reach a pre-determined passenger load, or when the doors have been opened for a while. The idea is that at least one lift will return to the lobby and stay there whenever it becomes free. There are ways to trigger this mode, like programming it for a certain hour (like the morning, which is ‘rush hour’ for these buildings), by the number of fully loaded lifts or by manual switches. As for down peak, the reverse is true. The lifts are sent from the lobby up to several floors, to respond to calls from people leaving work. The same triggers apply. This is a mode that can be found in most lifts, and is activated by a key switch in the lift or by a control panel in the lobby. When a lift is on this mode, passengers cannot call it to their floor. The lift will leave its doors open until a button is pushed, which is useful if people need to transport something big and need time to enter the lift without having it close on them. Although lift design depends on the building you’re planning, its special operating modes are something you should always have in mind, since they will determine its optimal use and what kind of service you can get. So, the benefits of considering the special operational modes that lifts can have are many, and they allow for specifics uses that otherwise would be impossible. If you want to know more about the operating modes of lifts for your design don’t hesitate to contact us or call us on 01200 315 025. We’re also present on social media, so follow us on Facebook, Twitter and Google+ for our latest news and updates.